TV Tuner: It is designed for users to watching and recording digital satellite TV on PC. 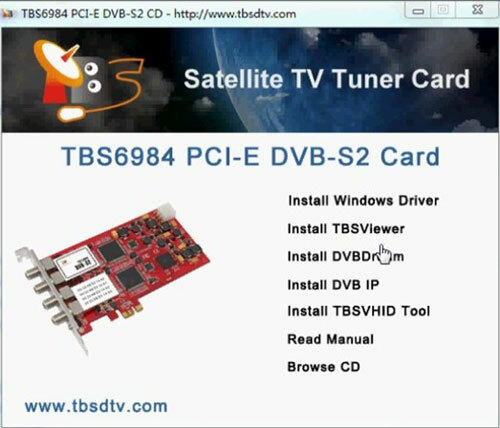 Here we use TBS6984 quad tuner TV card for example (Actually, you can use other TBS TV Tuners eg: TBS6981, TBS6925, TBS6991, etc. ),it’s a hot sale item on buydvb online store, while with this quad tuner TV card, you can watch one channel and record three other channels at the same time. AV Sender: It can transmit AV signals of PC, DVD, DVR, CCD camera, IPTV, satellite set-top box, digital TV set-top box and other similar devices, by means of radio waves and receive them at distant end and input them to a TV set to be displayed. 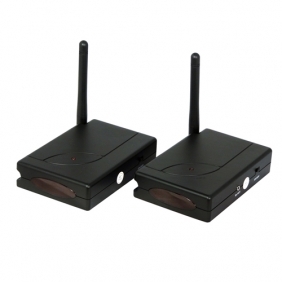 Moreover, the IR remote controller can be used at the receiving end to realize the function of wireless control of devices from another place. After the three steps completion, open Windows Media Center, DVBDream or Progdvb to watch satellite TV on PC. A/V Sources: Video Recorder, Digital Video Disc, Compact Disc Player, Satellite Receiver, Camcorder, Stereo Receiver, Security Camera, Hi-Fi System, Laser Disc Player, Computer, Cassette Deck etc. A/V Displays: Computer Monitor (Converted card required), Powered Speakers, TV Monitor etc. Now you can enjoy TV channels from pc to be display on TV Set from one room to another.